Nottingham Ambulance Squad is a 100% volunteer organization that provides emergency medical services to the residents of Hamilton Township and the surrounding towns. Nottingham is one of the last volunteer service of its kind left in Mercer County. The members who make up this squad are dedicated to keeping the spirit of volunteering alive while providing the best emergency medical care available. With that being said it is only with the generous donations of the community that the squad is able to continue to grow as an organization. Presently one of the biggest challenges facing Nottingham is the deterioration of our building which has not been renovated since its construction in the 1980’s. There are many aspects of the building which are in need of repair. We have been unable to perform any renovations because all the donations taken in by the squad has been allocated to purchasing and maintaining the best equipment to serve our community. The money that will be raised through the Go Fund Me page will be utilized for much needed renovations and repairs to the building. 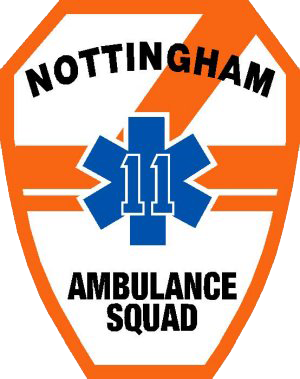 Nottingham Ambulance Squad has faced many challenges in the past and through the perseverance of the dedicated members and the generous donations of the community Nottingham will continue to provide care for all of those in need. The squad and the community thank you in advance for your assistance. “Alone we can do so little; together we can do so much” Helen Keller.